Niacinamide is an ingredient receiving some well earned attention lately in skin care. Studies have been conclusive that niacinamide has numerous skin benefits. If your skin care does not include a product with niacinamide, you might consider adding one. A house favorite here at TOC Medical Spa is Skinceuticals® Metacell Renewal B3. This daily corrective moisturizer has 5% niacinamide, 2.5% tri-peptide concentrate and 15% glycerin. I can safely say that every staff member here is using this at least once a day if not twice a day. Most of us are on our 3rd and 4th bottles. It is emollient without being heavy feeling at all and works well under makeup during the day. Entering the fall months is a good time to undo some of the damage done over the summer months. No matter how much sun screen we wear (although it is immensely helpful) if we have active lifestyles that take us outdoors a lot we end up with some sun damage. We tend to have less and less sun exposure in the fall and winter months so it is a good time to target pigmentation with combination treatments. Myself and several of my coworkers all agree upon a series of 2-3 IPL’s (or photofacials) combined with skin peels. I personally like to do an IPL followed by a peel within 1-2 weeks once a month for 3 months. This is very effective at lifting the pigmentation that developed over the summer. There is some “downtime” with these treatments, although it is minimal. The IPL creates what we commonly refer to as “peppering” which literally looks like pepper flakes on the skin. These tend to develop over the first 12-24 hours and then flake off in 7-14 days. These “pepper flakes” are pigmentation that has been brought to the surface leaving behind either faded pigmentation or complete clearance of the pigmented lesion. A peel is a controlled surface burn of the skin using a combination of acids. The peel helps lift pigmentation, shrink the appearance of pores, minimize fine-medium lines, firm and improve overall texture. When a peel is done about a week after an IPL it helps to lift any of the peppering that is hanging on to the skin. There are lots of peels on the market, from very light peels to deep peels. We tend to use medium depth peels and find the results to be predictable and well tolerated. The “real” peeling with these types of peels tends to occur on days 3-5 and then flaking can last 7-10 days. The “real” peeling does create cosmetic and social downtime as the skin peels noticeably and one looks like they are molting for 2-3 days. We use SkinMedica Peels and VI Peels at Toccare. I am a huge fan of the VI Peels. They are well tolerated on most skin types and seem to go just a little deeper than the other medium depth peels I have used. 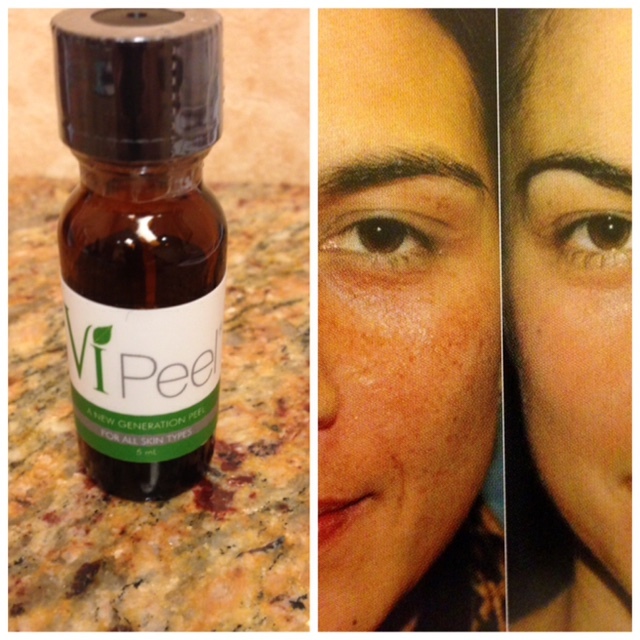 Additionally, VI peels can help minimize acne outbreaks and treat melasma. So if you ended up getting a little too much sun and are unhappy with how it has left your skin color and texture consider the above treatment plan. Here’s to beautiful healthy skin! Hyperpigmentation is a condition affecting both men and women of all skin types. I want to break it down for you and offer a few viable solutions. The key to treating hyperpigmentation is a combination of prevention and correction. Identifying if any of the above are contributing to your hyperpigmentation is helpful. So now let’s talk about how to treat it once it is there. There are numerous approaches and combination therapy works best. Treatments and key ingredients can work synergistically together. Let’s talk about that last one a bit. There are numerous ingredients which inhibit tyrosinase (remember that enzyme converts the amino acid tyrosine into melanin)or interrupt somewhere else on the pathway leading to pigmentation. There are both over the counter and prescription options. Hydroquinone (this is a tyrosinase inhibitor) is available both OTC in a 2% solution or as a Rx, 4% or higher. It is a proven ingredient that has been successfully used for years. Kojic Acid- also helps inhibit tyrosinase and helps other products penetrate deeper. Arbutin- An alternative to hydroquinone. It is derived from bearberry plants. Glycolic Acid- also helps with cellular turnover. Licorice Root- A chemical called galbridin inhibits tyrosinase. Kligman’s Solution- This is a very effective prescription combining hydroquinone, Tretinoin and a steroid. Your provider can determine what % of each active ingredient would be appropriate for you. 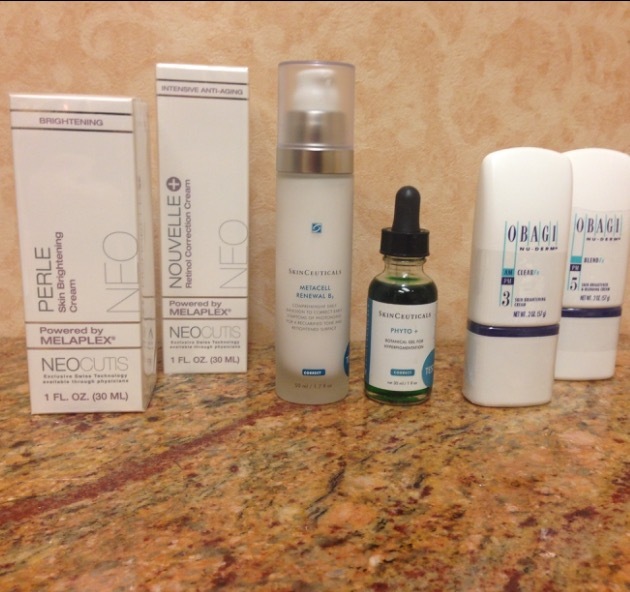 A few product options to target your hyperpigmentation – available at Toccare Medical Spa. A popular line carried in doctor offices for pigmentation is the Obagi line. In most states the line includes several products with 4% Hydroquinone and a Tretinoin cream. This is a very effective and popular line for fading pigment and renewing the skin. Here in Texas, however, we are unable to sell prescription strength Hydroquinone or Tretinoin OTC so we carry the Fx version of the Obagi line which utilizes a high percentage of arbutin in place of Hydroquinone. OTC products include Neocutis Perle and Nouvelle which have their Melaplex non-hydroquinone skin brighteners Melaplex is a proprietary blend of four ingredients which help fade pigmentation (Phenylethy Resorcinol, Leucine, Undecylenoyl Phenylalanine and Sodium Glycerophosphate). The Skinceuticals line has Phyto + which utilizes arbutin and kojic acid to help with pigmentation. Additionally, they have the Metacell Renewal B3 with a high percentage of niacinamide (one of my current faves!) which also assists with the fading of pigment. These are just a few of the OTC products available for pigment. Always look for the key ingredients to help choose products to fade pigment. When a patient comes in wanting to address their hyperpigmentation we often prescribe a combination of therapies. A common combination is a series of IPL’s, peels or microdermabrasions with topical therapy to maintain the results. It really depends on the individual and how much downtime they can afford and how much they want to invest in their treatment. I hope this helps give you an idea of how hyperpigmentation can be addressed.